The book is considered to be quite stronger in White and contains more than 3,200,000 different strong positions. Yes, this is the first thing I thought when I saw your Avatar. Hi Remon, I have tried to download your first book Monks_1, but I can't figure out the way to download this Jewel using this server. Do you have an alternate download link? That server requires an account. 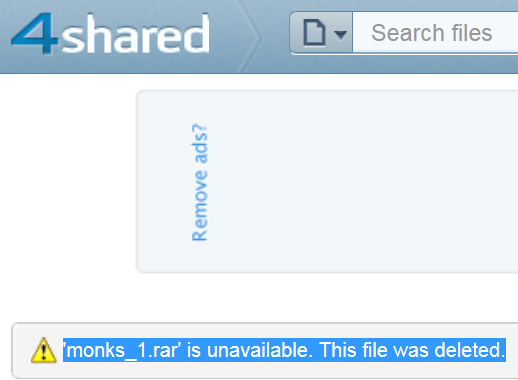 @Red Train wrote: Hi Remon, I have tried to download your first book Monks_1, but I can't figure out the way to download this Jewel using this server. Do you have an alternate download link? Please Note: This isn't a new book in the Monks series; that's the 1st release of Monks. Thank you Waldemar and RemonMelika for the quick reply to my question. I am sure is a little weaker than your newer books, but I like the old ones, the first one ever, the original of a series, the one who started it all, you know? that is why I want to download this book. @Red Train wrote: Book has been deleted. Yea, unfortunately the server deleted the file because it wasn't downloaded for a specific duration. Anyways, this book is old and wouldn't be able to match against any of the new books in the Monks series, I recommend using the latest book released, Monks 1.3 Absolute. I can't wait to check that book, so I can be in the top of of the rating list of playchess.com once again.